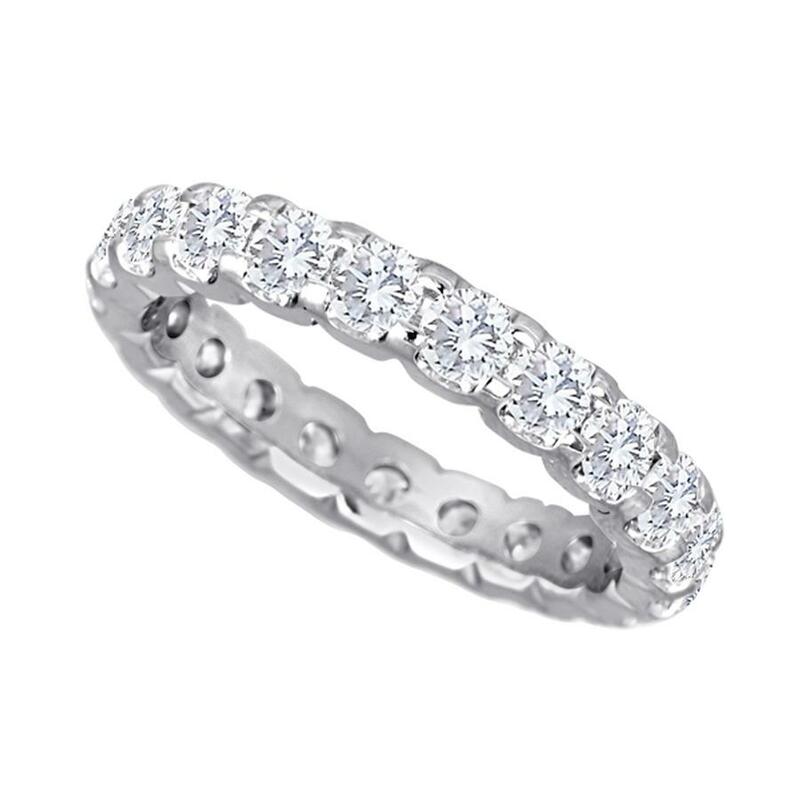 Shared Prong Diamond Eternity Band. 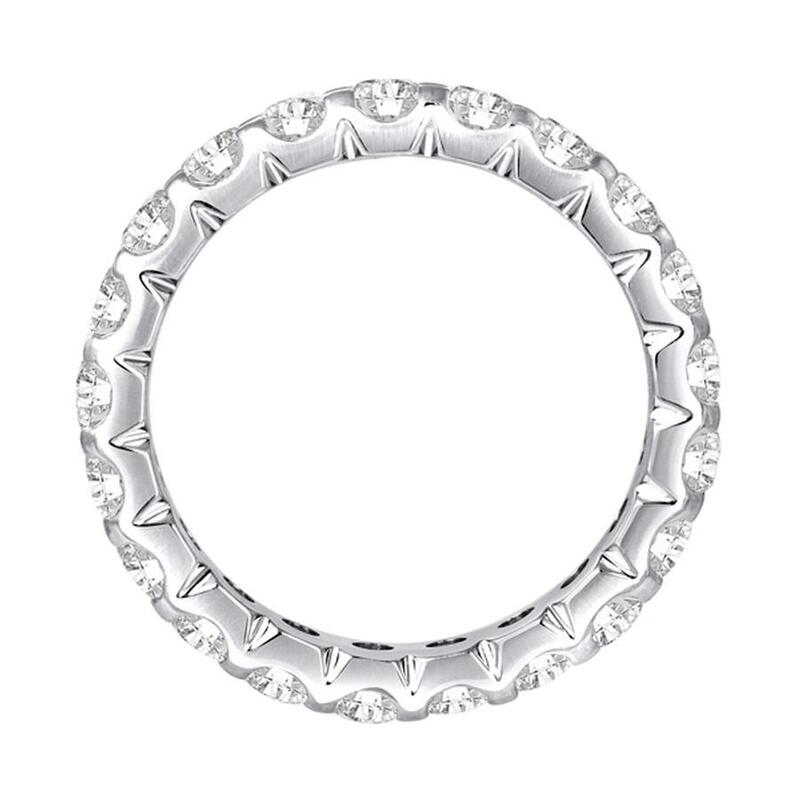 This eternity band gives focus on a large diamond look. This band is made with 3.50mm round diamonds.